Ropeways operate solely on gravitational force without any external power. It is inexpensive to operate and environmentally friendly, since it doesn’t consume external power. Ropeway has transformed lives of remote people because it is simple and has numerous benefits. In Janagaon, Dhading: before it used to take 3 hours to carry vegetables down a steep path and whenever it rains, or there’s a landslide, it takes even days. But now, with this gravity ropeway, hundred kilos of vegetable take less than five minutes to cover the same distance. 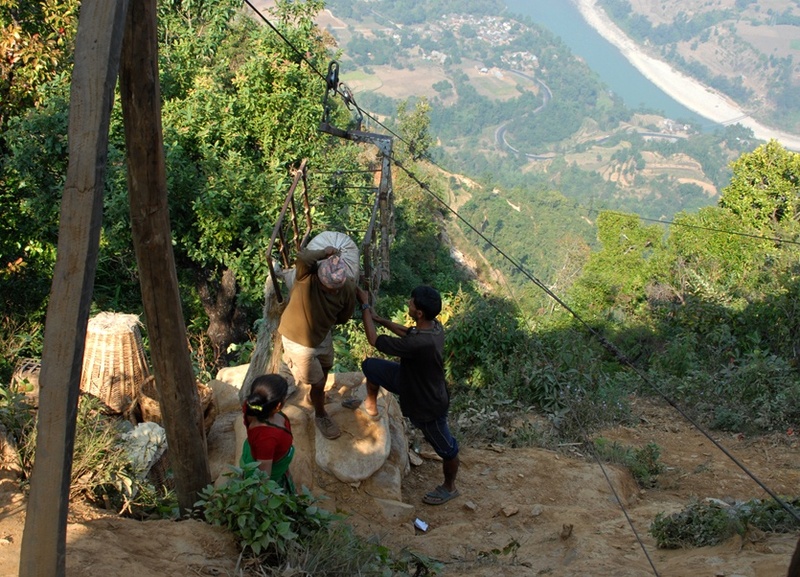 In picture: Ropeway of Janagaon, Dhading and locals preparing to send tomatoes down hill.